Understandably, an architect’s own background and cultural upbringing influences his work, and it is this unique blending of personalities and perspectives throughout our state’s history that has shaped the Colorado we know today – and will determine the Colorado of our future. Beginning with the establishment of San Luis in 1851 by Spanish explorers, Colorado’s distinctive Spanish influence can be seen mainly throughout the southern part of the state. San Luis’ adobe architecture and classic Spanish town layout retain the texture of the historical and cultural influences that shaped the early communities of Southern Colorado. The Colorado Gold Rush, which followed in 1859, was accompanied by a dramatic influx of emigrants into the region. These prospectors and European settlers helped to establish many early towns, including the small mining towns of Idaho Springs and Central City. Once known as the “Richest Square Mile on Earth,” the Central City/Black Hawk Historic District protects the former gold mining camps of the era. Today, the area offers residents and tourists alike the opportunity to cash in on Colorado’s gambling industry. The railroad lines built to haul gold from the mountains were a major factor in creating the economic base of the region in the following decades, especially as Colorado experienced another mining boom in 1879 with the Colorado Silver Boom. To consolidate the multiple railroad lines running through the state, local architects Gove and Walsh designed Denver’s first Union Station in 1881. 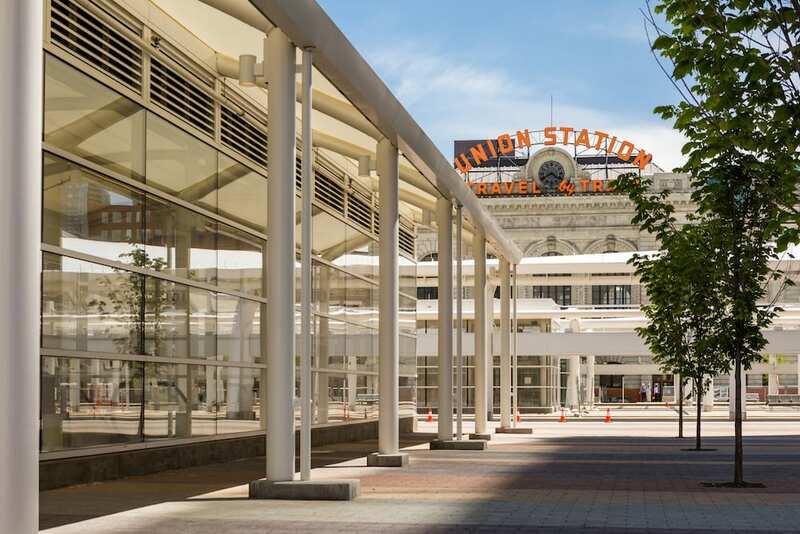 Although nothing remains of the original train station, which burned down in 1894, today’s Union Station still serves as Colorado’s central transportation hub and has been a catalyst for economic growth throughout the state. Recently redeveloped by the architects at Skidmore, Owings & Merrill LLP, Union Station is now a 21st century example of transit-oriented development and architecture’s ability to fundamentally change the way people live, work and travel. Furthermore, collaboration between design firms Tryba Architects and Johnson Nathan Strohe resulted in a complete transformation of Union Station’s interior – one that effortlessly retains its original 19th century charm and spirit of travel. Even Colorado’s history of collecting of natural resources remains strong today, albeit more advanced. The Research Support Facility building at the Department of Energy’s National Renewable Energy Laboratory campus in Golden – a design-build partnership between RNL Design and Haselden Construction – is the laboratory’s newest sustainable green building. Under the design lead of Rich von Luhrte, FAIA, this 360,000-square-foot LEED Platinum office building is a showcase for energy efficiency and renewable energy technologies. The establishment of this advanced research complex in Colorado positions the state as a key player in the transformation of the nation’s energy infrastructure now and into the future. While looking to the future, past architects have done well to preserve the richness and natural beauty of Colorado’s outdoor environment so that later generations could share in the magnificent beauty of the Rocky Mountains. As suggested by my colleague Elizabeth Hallas, AIA, one of the most notable preservation efforts was the collective vision of Frederick Law Olmsted Jr., Saco Rienk DeBoer, Jules Jacques Benois Benedict and Burnham Hoyt to protect the foothills with the creation of Denver Mountain Parks. This mountain park system, consisting of 47 foothill and mountain parks interconnected by scenic drives, was constructed between 1912 and 1941. Denver Mountain Parks serves our communities well today in both the easy access to recreation areas, as well as the preservation of rustic “gems” built by workers of the Civilian Conservation Corps. These include Genesee Park’s Chief Hosa Lodge and Echo Lake Lodge in Echo Lake Park, both built with original timber and stone from the area. In addition to the preservation of Colorado’s natural environment, Hallas also recognized the creation of the gaming tax in 1990 to fund the State Historical Fund as having an incredible statewide impact on our architectural legacy, with over $270 million spread across the entire state. These dollars have helped fund the preservation and adaptive reuse of thousands of buildings, from the remote 1911 Silverton School – located in the historic mining town of Silverton – to the repair of the Sullivan Gate at Denver’s City Park Esplanade. 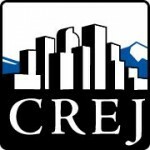 As Colorado moves through the 21st century and we are faced with unprecedented growth and change, I urge to you pause for a moment to appreciate the contributions to Colorado’s architectural legacy: those that have existed for decades, even centuries, as well as the buildings of today that will surely become the landmarks of the future. They serve as reminders of where we have been as a society and mark the path for where we will go in the future. The Colorado of tomorrow will hardly resemble the Colorado of today, but if history serves us right, the best is yet to come. For interviews with some of the most distinguished architects in Colorado’s history, search “AIA Colorado History Committee” on YouTube.com.